Yesterday was the first day of the autumn with a below zero overnight low. There was a light frost on the grass next to the boat and a bitterly cold wind racing across the marina. It wasn’t really the best day of the year for me to take an involuntary dip in the marina. I’m addicted to my smart phone. I love it, I really do. It’s a Samsung S2. It does everything for me apart from make the tea when I get up in the morning. I’m sure it can. I just haven’t worked out how to set it up yet. I use my phone all the time to check my emails. That’s what I was doing yesterday morning while I was waiting for the dogs to jump onto the boat. I was walking along the pier reading a particularly interesting message not watching what I was doing when I stepped off the pier. One leg plummeted into the water while the other stayed on the walkway. I stretched parts of me that I didn’t know could be stretched and flung out my arms to stop myself disappearing into the water completely. Unfortunately my phone was still in my hand at the time. I prevented a plunge into the icy depths but my phone flew out of my hand, into the water of course. I stripped off to the waist as quickly as I could, lay on the pier and reached into the water where I could see my phone resting on the marina bottom. It was further away than I thought so I took a deep breath, put my head under the water and reached a little further. I still couldn’t reach so I wriggled my legs a little closer to the water and stretched my arm as far as I could. Unfortunately, I reached a little too far. My legs slipped off the pier completely as I executed a perfect and stately dive into the mud through the weeds, grabbing my phone as I passed, before laying half naked on the marina bottom under the boat’s bow. It’s not a view of the boat I ever expected to see. I pushed off against the mud with my feet and shot out of the water like a guided missile. In seconds I was back on the pier soaking wet and freezing cold but otherwise unharmed, which is more than I could say for my phone. As you can see, it’s not very well at all. The screen is smashed beyond repair and the phone has a definite bend in the middle. Because of the protective case, very little water ended up inside but the blow it received has finished it off. I made a careless and expensive mistake. The replacement cost of the phone is about ?250 and then I’ve all the hassle of setting up a new one but I consider myself very lucky. I consider myself very fit, but I’m not as young as I used to be. I fell with some force, and I fell into the water. I could have hurt more than my pride and suffered more than the inconvenience of having to find a new phone. There’s always potential for accidents when you combine water, wood and steel, cold and wet weather and climbing on and off boats. Boaters are always falling off their boats. Falling off a boat into the water isn’t a problem in itself; falling off the boat – or onto the boat – and hitting something hard or something with moving parts can often have disastrous consequences. I think all of our wharf staff have fallen into the cut at some stage. When this happens the only injury is to their pride. However, slipping on a wet or icy surface when working on a boat is another kettle of fish. A boat roof can be very slippery. Many have a non slip surface, a top coat of paint mixed with grit, which makes them much easier to walk on. Slipping on the roof and landing in its flat surface isn’t normally too much of a problem, but slipping off a boat roof can really hurt. 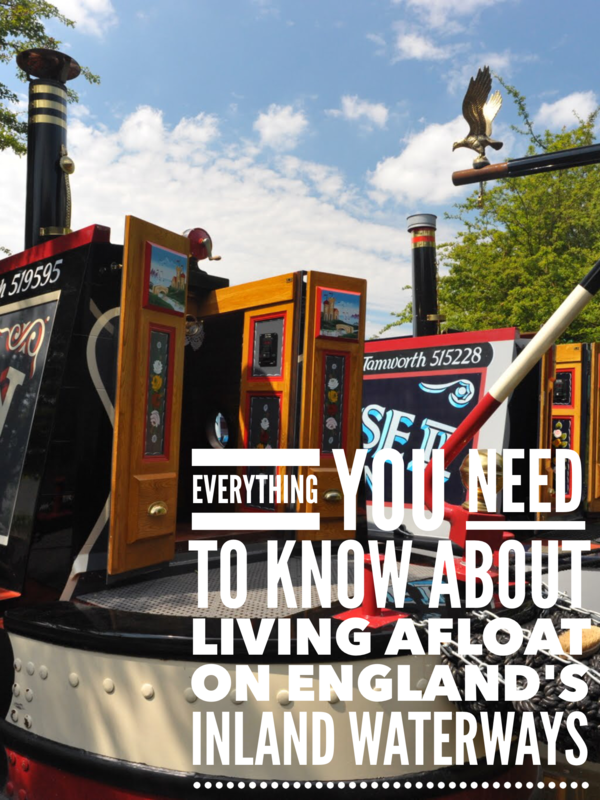 As a narrowboat owner you probably won’t be skipping from roof to roof as our wharf staff do when we’re preparing the hire fleet, but you may well step on and off the roof when your boat is in a lock. Be careful. Not only is your boat roof likely to be slippery during cold or wet weather, but so is the side of the lock. There are ladders fixed to the lock wall so you don’t have to step on and off the roof but you need to be equally careful with these. They are usually fixed only a few inches away from the wall so there’s little room to place your feet on the rungs. Gunnels are also the source of many slips. The gunnel is the horizontal ledge that runs around the boat above the hull and below the cabin. Gunnels vary in width from almost nothing to four or five inches. A non slip coating is applied to the gunnel on some but not all boats. You need to make sure that you have two hands anchored to the roof rail or top of the cabin if you’re going to walk along the side of the boat. There have been two or three occasions in the last couple of months when we’ve had to fish wet boat owners out of the cut at our wharf. Some of them make a regular habit of it. A couple of months ago a couple were reversing their narrowboat was reversing onto the wharf so that the owners could top up their diesel. The lady was steering; the man was standing on the gunnel reaching for a neighbouring boat so that he could tie up to it. He reached too far, slipped and disappeared under the water. The lady was totally unfased by it all. She heard the splash (didn’t even look in his direction), immediately put the boat in neutral in case the man came anywhere near the propeller, shook her head and groaned, “Not again! Not a-bloody-GAIN!” She later explained that he likes to go for a swim at least once every time they go for a cruise. Slips and falls on either your boat or mooring are just some of the areas where you need to be careful. There are many more and they’re all covered in the excellent Boaters’ Handbook. You can download a copy for free from the Canal and River web site. I don’t want you to think that serious injury lurks around every corner, but I do want you to where there’s potential for you to harm yourself. Read The Boaters’ Handbook, take it all in and enjoy your next trip out. Timely reminder – off on a trip tomorrow! But I loathe my smartphone. I use a netbook much more and don’t carry it round with me unless I’m travelling (on land). I’ve often seen people glued to phones and almost run over on a road. I use an ordinary dumbphone for calls, mostly, and the netbook for emails, writing, research etc. Can’t wait for the smartphone contract to end. But it’s a very cheap contract on a Samsung Galaxy from 3, and I noticed yesterday in the 3 shop that prices have gone down even more – you could go into the shop and haggle. That’s what I did and they added free calls to other phones on the same network. Worth a try!